During elections, some candidates buy advertisements on Facebook to increase the visibility of their posts. Some see this as necessary to gain the upper hand in an election. In an election period, do wealthy candidates have an advantage thanks to Facebook? Social networks have become essential tools during election periods. The content promotion offered by Facebook can sometimes undermine the equality of visibility among the various parties. In his editorial, José Bové makes three assertions. According to him, the more money a user spends to promote content on Facebook, the more people they reach. The MEP also supposes that the relationship is linear (i.e. the reach of extra views is proportional to the amount spent), and that the candidate with the most money has the best chance in an election. José Bové’s column doesn’t cite any sources, so it will be impossible to debate the figures put forward; rather we can discuss the linear relationship they imply. The first two details can be verified very quickly. 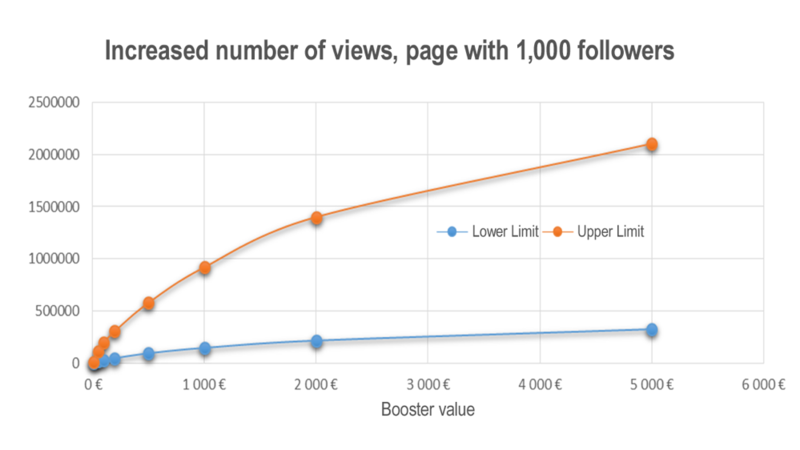 By testing two Facebook pages with 49,000 and 1,000 followers respectively, Facebook offers the option to pay to increase the visibility of content, estimating the reach of extra views per day (see the graphs below). The social network identifies a range of people that would be reached by promoting a certain post. 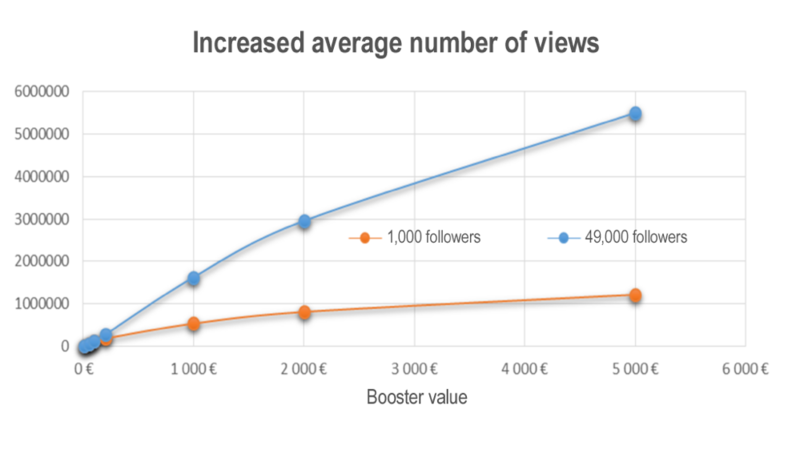 For example, spending €100 on a page with 1,000 followers can increase its visibility by between 31,000 and 200,000 people. 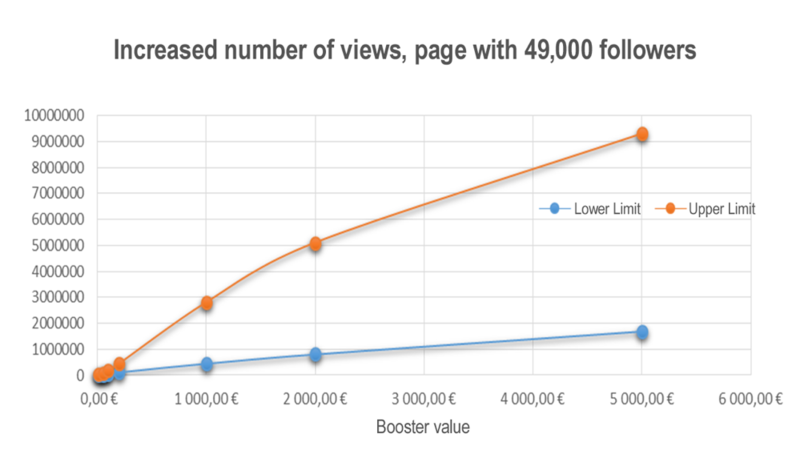 The two graphs reveal that the more you spend, the higher the added reach of the content, confirming Bové’s first statement. The second assertion, however, is false: the relationship between cost and reach seems more logarithmic than linear. The simulated plots don’t correspond to straight lines (linear) but to curved lines, so the added reach would not be proportional to the cost of the booster, which refutes Bové’s claims. To verify the claim that “the candidate with the deepest pockets has the odds in their favor” (in an election), we must compare the additional average reach of each of the various pages in relation to how much they are promoted. 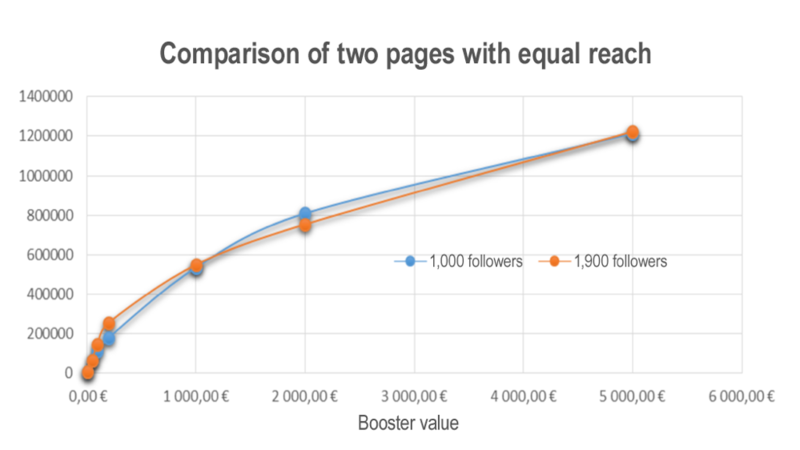 The first graph compares two pages of widely differing popularity (49,000 followers versus 1,000), and the second graph compares two pages of similar popularity (1,000 versus 1,900). For an equal amount spent, the reach differs widely between the one with 49,000 followers and the one with 1,000. This implies that money is not the sole factor, and that other factors play a role. The page’s popularity before investment will impact the result. There is also an element of randomness: depending on the type of content, when it is circulated, as well as current trends, it will be picked up by the public to varying degrees. Does spending money on Facebook win elections? That is the question facing Europe.